Musician and Greek bouzouki player. Professional Keyboard Arranger: KORG PA-700/1000, Yamaha PSR-S975/A3000 or Roland EA-7? There is winner! יוסי אהרון on Professional Keyboard Arranger: KORG PA-700/1000, Yamaha PSR-S975/A3000 or Roland EA-7? There is winner! Vento on Professional Keyboard Arranger: KORG PA-700/1000, Yamaha PSR-S975/A3000 or Roland EA-7? There is winner! 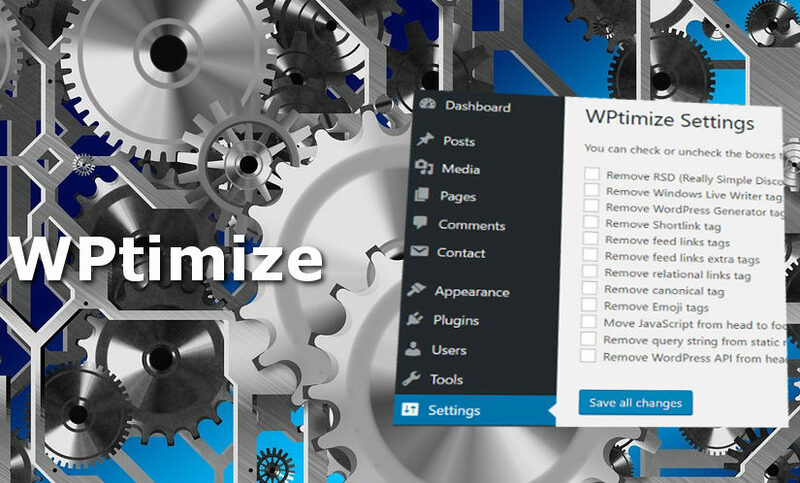 WPtimize is optimization and cleanup plugin for WordPress that cleanup all the unnecessary tags and scripts from your WordPress header and optimize your code for faster loading page speed, security and performance. Lightweight plugin and very simple to use. Allows you to choose which tags do you want to cleanup from your header. By cleanup of unnecessary tags, scripts and styles it optimize your websites for search engines and speedup your page loading time. You can see how much memory usage is used. Upload wptimize folder into your plugins directroy (/wp-content/plugins/) or search for “WPtimize” on WordPress repository plugins from your WordPress dashboard. Activate the plugin and go to ‘Settings > WPtimize’ to select the tags that you want to clean from your header. What actually the plugin do? Cleans up all the unnecessary tags and scripts from WordPress header includes: RSD, Windows Live, Generator, Shortlink, Feeds, API and more. Move JS from head to footer. Remove query strings from JS and CSS files. Cleanup scripts and styles from non Contact Form 7, WooCommerce and bbPress pages accordingly. Display the current memory usage and the percent of total usage. Fixed a bug that cause a conflict with tabs on WooCommerce settings.